François Bugnion is the ICRC’s Director for International Law and Cooperation within the Movement, reflects* on the organization’s failure to react vigorously to the persecution of Jews by the Third Reich. What did the ICRC know? We hardly know how the ICRC obtained its information. Still, there is no doubt that senior ICRC officials had become aware of the genocide by the summer of 1942. When questioned by United States Consul Paul Squire on 7 November 1942, Carl Burckhardt, a distinguished member of the Committee, confirmed the existence of an order issued by Hitler intended to make the Reich ” Judenfrei ” or ” free of Jews ” , in the terminology of Hitler’s Germany. Burckhardt added that since there was no place where they could be resettled, this could only mean one thing. 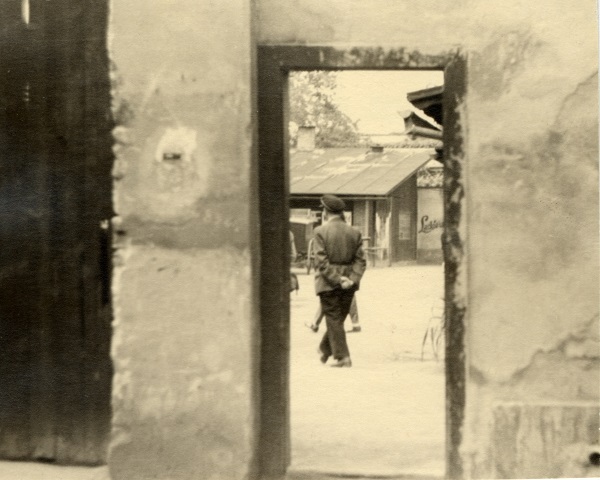 Finally, during the last part of the war, the ICRC took advantage of the dismantling of the Nazi power apparatus to introduce delegates into certain concentration camps and participate – in an admittedly limited way – in rescuing the survivors. These actions are not negligible, since every life saved is priceless, but they cannot obscure the fact that, overall, the ICRC’s efforts were a failure. That they amounted to failure is undeniable, since the principles guiding the ICRC’s work had never been so outrageously flouted. Millions of men, women and children died after a terrible ordeal without the ICRC being able to do anything to save them. Yet the failure was, above all, that of the ICRC’s inability – or unwillingness – to fully recognize the extent of the tragedy that was unfolding, and to confront it by reversing its priorities and taking the risks that the situation demanded. The ICRC thus chose the path of confidential representations to the authorities of the Reich and its satellites, but carried them out mainly through its delegations. It was not until the summer and autumn of 1944 that key ICRC leaders became involved in efforts to help victims of Nazi persecution through high-level representations. The criticism of Jean-Claude Favez, who observed that the ICRC ” did not take the supreme risk of throwing the full weight of its moral authority into the scales on behalf of these particular victims ” ( The Red Cross and the Holocaust , p. 282), cannot be refuted. As Favez further remarked, ” the question may therefore be asked why between, on the one hand, the aid operation, derisory from the point of view of the victims, [… ] and on the other the public appeal, a weapon of last re sort perhaps which the ICRC [… ] felt it could not use, no diplomatic initiative was launched that was both worthy of the drama being enacted before everyone’s eyes and based on a precise calculation of risks, such as a protest letter to Hitler or Himmler, or better still a mission by Huber or Burckhardt to Berlin or Berchtesgaden ” ( Ibid., p. 279). finally, to establish the historical facts of the case, the ICRC invited Jean-Claude Favez to carry out an independent investigation of its activities on behalf of the victims of Nazi persecution, and gave him unfettered access to its archives relating to this period; out of concern for transparency, the ICRC also decided to give all other historians access to its archives dating back more than 50 years; having gone over the conclusions of Fave z’s work, the ICRC acknowledged its past failings and expressed its regrets in this regard. Nevertheless, the photographs displayed here carry us back to a reality on which words – even the strongest words – have no purchase.